On the first Sunday of September for as long as anyone in Arbois can remember, the local vignerons put on their Sunday best, and the whole town comes out to witness a glorious procession and church service honouring the harvest to come. The festival, named La Fête du Biou, is the focus for a weekend of events in the town. There is something deeply moving and beautiful about the Biou festival, and this year, we were able to witness the biou itself being prepared on the Saturday afternoon. 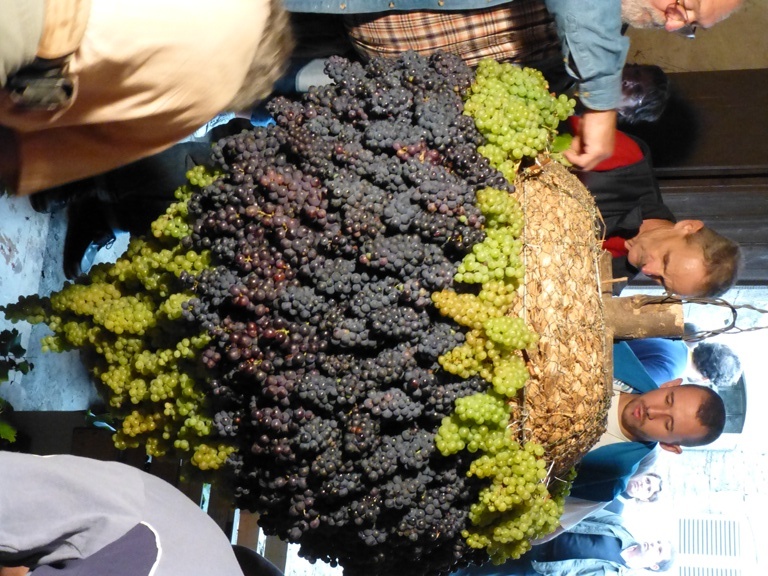 The biou is a gigantic ‘bunch’ of grapes, harking back to the biblical Eshcol carried by the Israelites returning from Canaan, ‘the Promised Land’. It is carefully put together by the local vignerons and their helpers, using perfect bunches of white and black grapes that are almost ready to harvest, and then decorated with flowers. The procession of the biou, weighing nearly 90kg (200 pounds) carried by four strong wine producers, is led by two young violinists and accompanied by wine-growers young and old, leaving from La Maison de Vercel (the old wine-growing family famous for its collection of 1774 Arbois wine), passing through the middle of the town, and down to the church of St-Just, past several wine producers shops and the famous Hotel-Restaurant Jean-Paul Jeunet. In the church a service takes place, blessing the biou, which ends up being hung above the altar as thanks to God for the harvest to come. The town is looking into the possibility of applying for the Biou festival to be classified by UNESCO. After the church ceremony, a further, more recently established procession takes place of local Arbois dignitaries, firemen and marching bands culminating in a wreath, also made up of bunches of grapes, being placed on the War Memorial. Once this is through there is a mad dash by all of the town to reach the tables where wines are served as a free aperitif by the Arbois wine producers. The weekend’s events include a funfair, art shows, guided tours of the town and a wonderful exhibition of wild mushrooms, meticulously presented, labelled and categorised (deadly, poisonous, ordinary or edible) by the local mycological (mushroom) society. More than 100 species are gathered in local woodlands over the previous two days. On our short visit to the Jura we were dodging rain showers, and when we visited Benoit Badoz in Poligny, we were unable to visit his vineyards. 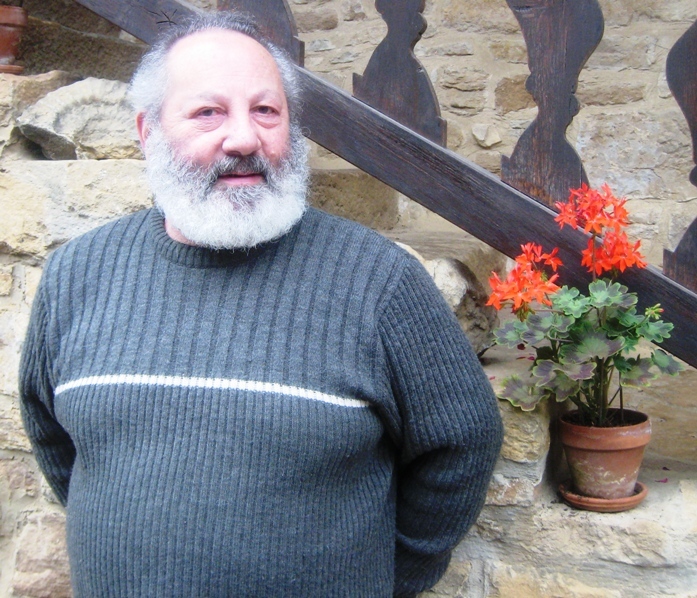 Benoit affirmed that, as in Burgundy, it has been a very difficult summer here, with bad weather around flowering time, and repeated attacks of mildew. As everyone it seems, Benoit had to spray his vineyards on more occasions than usual this year. Apart from being down 10% in crop levels, the worry now is that rot might develop before the grapes are ready to harvest. A brief chat with Stéphane Tissot, whilst he was helping to build the biou, confirmed the story of lower crops (in his case down 25%) but he was typically up-beat about quality prospects. “La vie est belle?” is always Stéphane’s question – life is wonderful, of course, and Stéphane is always the optimist. 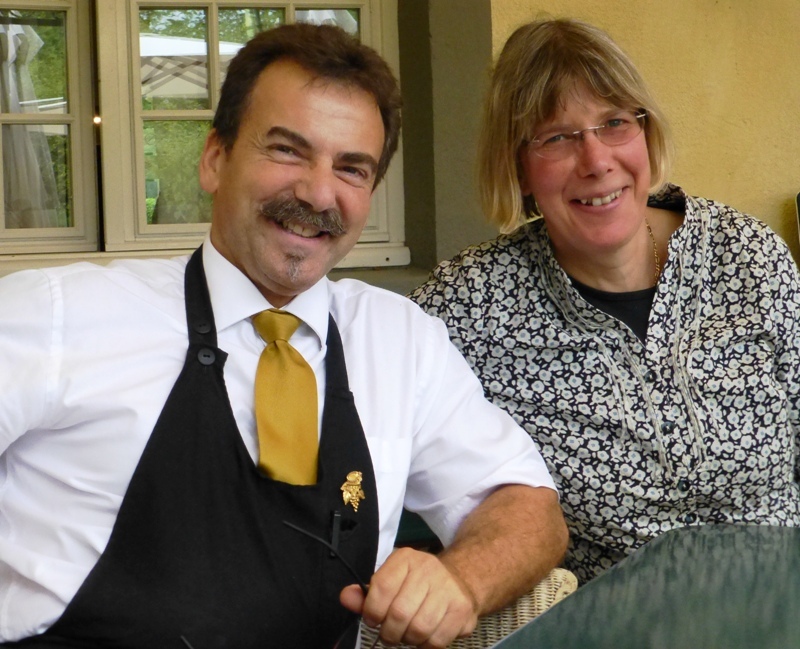 For a more independent viewpoint I turned to Christophe Menozzi, sommelier for the Château de Germigney restaurant, who we met for a civilized coffee on the terrace of the château after he had worked Sunday lunchtime service there. We, incidentally, had eaten a less expensive, tasty meal at the lovely Germigney-owned Bistrot de Port Lesney followed by a walk around the delightful village. Christophe described harvest prospects as “un catastrophe” and reported that unusually for Jura both downy mildew (peronospera) and powdery mildew (oidium) had been widespread. Jacques Puffeney, always one to compare back to previous vintages, shared with Christophe that the last vintage like this was back in 1958 – not good news. Everyone agreed Poulsard (or Ploussard) is the worst hit variety. The harvest is due to start in the next few days – here’s hoping for good weather to come, so that later-ripening varieties at least can enjoy some more sunshine. Good luck to everyone. And finally: Is there love in the vineyards of Pupillin? We stayed in one of the chambres d’hôtes in the wine village of Pupillin, just next to Arbois, and enjoyed a splendid treat of a meal out at Restaurant Jean-Paul Jeunet. We rarely eat at 2-star Michelins and this meal lived up to everything it should have in terms of food, presentation and service, and without too much pomposity as befits the Jura region. After discussion with sommelier Alain Guillou, we drank the Savagnin 2008 from Arbois grower Domaine de la Tournelle. which matched our dishes perfectly. On our second night, paying 1/7th of the price of dinner at Jeunet, we relished the simple food, plentiful Pupillin wine and company of other guests at the table d’hôte dinner served at Le Pom’ Paille where we were staying. Discussion turned to Pupillin wine producer Philippe Bornard, separated from his wife a few years ago, and who is currently one of the contenders of the reality French TV Show L’Amour est dans le Pré where single farmers looking for a mate try to get matched up. After a couple of appearances, with two ladies in the running for his affections, it appears the little village of Pupillin (population 250) is being besieged by women wanting a glimpse of Philippe’s home turf or even the man himself. Rumour has it that he’s keeping his options open, but enjoying the show…. It’s great publicity for the beautiful Jura landscape. As ever, forty-eight hours in the Jura was full of interest, meeting lovely people generous with their time, and eating and drinking well of course. But most of all it was the Fête du Biou which was the highlight, even having seen it three times before, the atmosphere and the dedication to keeping up this tradition by the local vignerons never fails to move me. Having been a little silent recently, I’m finding it hard to believe how much noise has been generated about Jura wines in the English-speaking press in the past couple of months. Twitter is all abuzz about Jura wines in several languages, including English, and I see increasing blog posts mentioning a Jura wine or two. So, here is my news round-up of what’s happening, with an international slant. A small airline named Danube Wings has launched various services to the Jura airport of Dole, just north of Arbois and the wine area. Most notably, from this Friday 27 July until 24 August, Danube Wings will operate a flight from Cambridge airport (recently re-opened for international passenger traffic and reached by train from London in an hour) on Fridays and Mondays to and from Dole. What is particularly interesting is that the checked baggage allowance includes 15kg PLUS four bottles of wine. I asked the PR how this worked, and apparently as long as the bottles are packed in a normal wine box from the shop or winery you buy it from, they will be handled carefully at each end. I wonder if this wine baggage allowance is a first anywhere in the world, and I also wonder whether the system really will work without breakages. Good news for all, if so. The flight timings are ideal either for a long weekend break, or even a long week break instead, when more wineries will be open to welcome you. I just hope it’s successful enough for them to consider running the flights for a longer period during the year. My travel guides give details of other ways to reach the Jura wine region. Writer David Schildknecht, one of Robert Parker’s team of contributors to The Wine Advocate and eRobertParker has written his first extensive report on the wines of the Jura, following visits to 17 estates last November. His report, available only to magazine or website subscribers, is very comprehensive indeed and, unsurprisingly, enthusiastic too, with very positive comments about the future for this region. He rated 244 wines on the usual 100-point scale, with wines rated ‘outstanding’ – above 90 points – reached by one or more wines from almost all the producers visited, including most of the names sold in the USA. The highest marks were mostly awarded to Vins Jaunes and Vins de Pailles, but Jean-François Ganevat scored very highly with his Chardonnays, although tasted pre-bottling. The highest scoring Ganevat wine was his Chardonnay Cuvée Les Grandes Teppes Vieilles Vignes, which is from vines planted in 1919 – it is a cuvée that I’ve tasted over the years, and I’m very glad that Schildknecht found it as gorgeous as I know it to be. Stéphane Tissot’s Clos du Curon Chardonnay also received 94 points. Jancis Robinson admitted to me that she had last been to the Jura right at the start of her career, a few decades ago, and that was only to visit Henri Maire. So, I was pleased that she planned a return en route to Alsace back in June. Spending only 24 hours there, on my advice she visited Stéphane Tissot and Jacques Puffeney, and you will see the report in her article in the FT and on her site. She wrote extensive tasting notes too, but these are only available to access by Purple Pages members – on these she detailed a full range of wines from Tissot, Puffeney, and Les Chais du Vieux Bourg (at whose Les Jardins sur Glantine B&B in Poligny she stayed), as well as a few wines tasted at the RAW Fair from Domaine Pignier and Domaine La Pinte. The selection of wines for the London Olympics includes a Côtes du Jura Savagnin Les Sarres 2007 from the excellent producer Jean Rijckaert, based in Burgundy but owning vines in Jura. 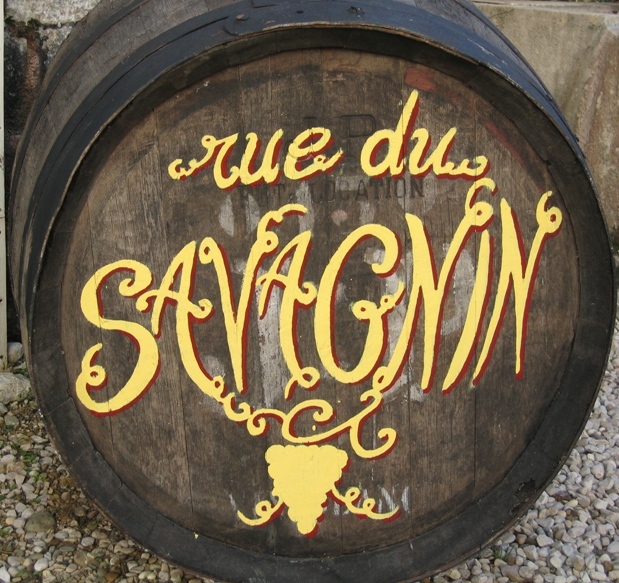 Although I haven’t tasted this vintage, I have tasted previous Savagnins from Rijckaert and it’s important to note that it is a Savagnin ouillé – meaning topped-up non-oxidative Savagnin. It is likely to taste dry, full, with lovely lemony and mineral freshness to balance. How lucky are the corporate visitors who manage to drink this whilst watching a great sporting event. And last but not least, the Pierre Michel Crémant du Jura, made by Maison du Vigneron, part of the Grand Chais de France group and the largest producer of Crémant in the Jura, has won – wait for it – The What Food, What Wine Fish and Chips Fizz and Chips trophy …. A Chardonnay sparkling wine made – as all Crémants – in the Traditional method, it is available in the UK at ALDI for just £6.99. Fizzing value, it has to be said.